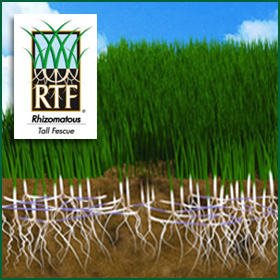 RTF® sod and seed is a Rhizomatous Tall Fescue that grows well in sun/shade, uses less water. 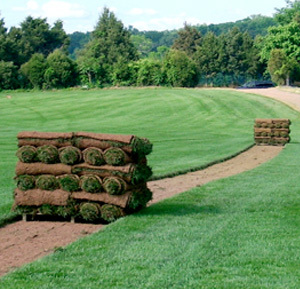 RTF® Sod is our very popular and most commonly-used sod product. 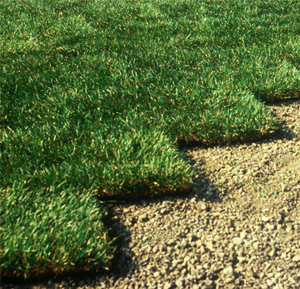 Our RTF® Sod is a blend of Kentucky bluegrass and tall Rhizomatous Fescue. 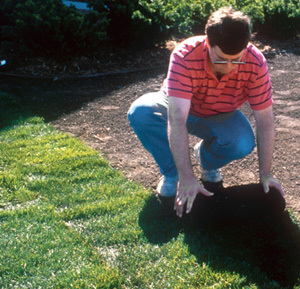 Rhizomes help the RTF quickly fill in damaged and bare spots in your lawn with new shoots of grass. This results in less over-seeding, fewer weed problems and no wide-leafed ugly clumps of grass like other tall fescues can form. RTF’s extensive root system has the ability to draw moisture from a deep soil profile, which helps it use less water and makes it adaptable in a wide range of soils. It has excellent heat and drought tolerance, with less irrigation. 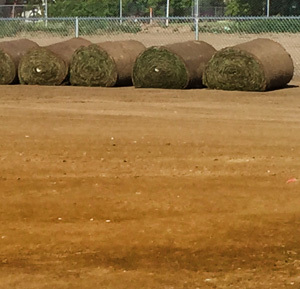 A New Mexico State University trial proved RTF maintained high turf quality with 30% less water. 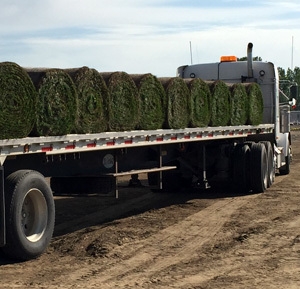 With RTF® Sod you instantly get a healthy mature lawn, grown by only the best turf grass producer in your area—Tvetene Turf, a licensed sod producer. 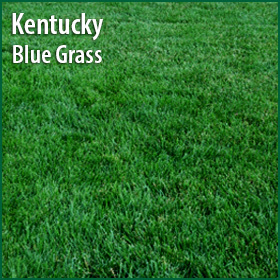 Kentucky bluegrass is the most common cool season grass and grows well in our region. Kentucky bluegrass creates a high quality lawn. Kentucky bluegrass has a moderate growth pattern and does spread and will fill in bare spots. 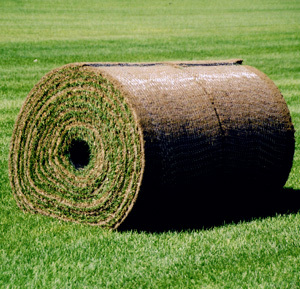 The grass will go dormant in hot, dry weather as well as during the cold winter months. It is not designed for extremely shady areas. 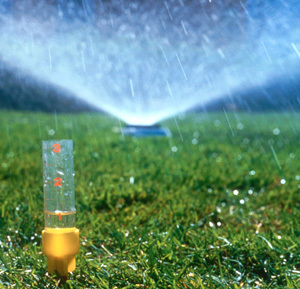 This grass will require supplemental irrigation during hot, dry periods. Kentucky bluegrass develops a shallow root system that is not drought tolerant and will go dormant during extreme conditions. If given intermittent watering during prolonged drought conditions, it will come back. Bulk seed and fertilizer is available, using our tried and true blends. Want to seed instead? We also carry the same variety of seed that we use in our fields. 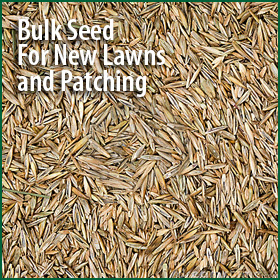 These seeds are great if you want to overseed an existing lawn or start fresh with a new lawn. 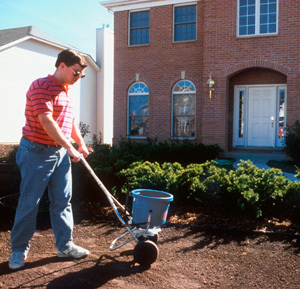 We have every product and tip you’ll need to prepare, seed, fertilize and maintain your new lawn. 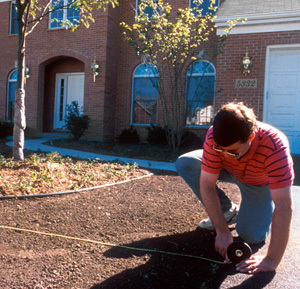 In addition, we carry fertilizer to promote the growth and health for newly laid sod as well as established lawns. A new lawn from seed can take several weeks of constant care to ensure the seeds are well watered and cared for during their vulnerable sprout phase. 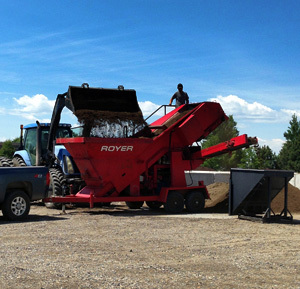 We carry gypsum, compost, peat, amended topsoil, straight top soil and colored mulch. 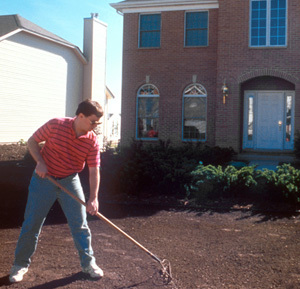 The basis for a great lawn landscape area and garden starts with quality soil. 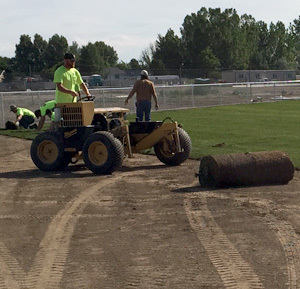 Tvetene Turf now offers several different types of soil for site prep. We carry gypsum, compost, peat, amended topsoil, straight top soil and colored mulch. 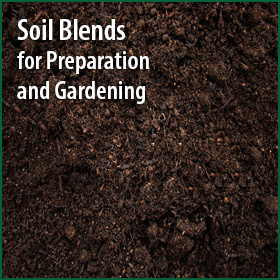 We also blend an exceptional organic garden soil for topdressing your lawn or for use in garden beds. All of the soils are available in bulk, however, we do also offer small bags of the blended garden soil, compost, and peat. Your Exclusive Big Yellow bad Dealer in Billings Montana. Need a Big Yellow Bag? 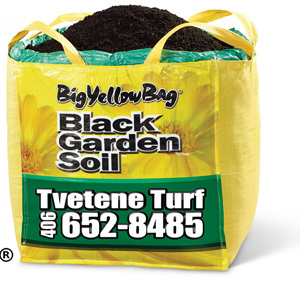 We are the region’s exclusive dealer and supplier of black soil Big Yellow Bags. Stop by or order a Big Yellow Bag at our store. 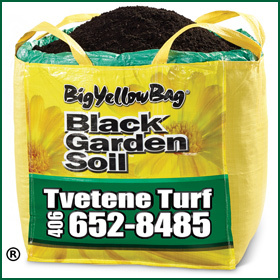 A Big Yellow Bag can be delivered to your yard at your convenience! Learn more about Big Yellow Bags here.